The popularity of Australian wonder mare Winx seems to know no bounds. Not only is she a phenomenon in her own country, pulling huge crowds to Moonee Valley when she contests the Cox Plate, but she has made an equally huge impression the world over. 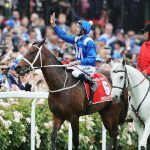 The Chris Waller-trained galloper has now been named the 2018 Secretariat Vox Populi Award winner in a year-end online poll of racing fans around the globe. The award, which allows racing fans to vote online and through social media, was created in the US by Penny Chenery, the owner of one of the greatest horses ever seen, Secretariat, to recognise the horse whose popularity and racing excellence reflected best with the general public and also brought positive recognition for the sport. 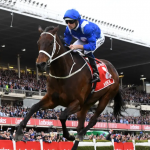 Winx was up against a top field of four other rivals headed by another super race mare Enable, US Triple Crown winner Justify, the top older dirt horse in America, Accelerate, and top US filly Monomoy Girl. Enable became the first horse in history to win the Prix de l’Arc de Triomphe and then cross the Atlantic to the US to win at the Breeders Cup meeting in the same year. Accelerate was the top American 1600-2000 metre horse who won six of his seven 2018 US starts culminating in the Breeders Cup Classic. Justify’s racing career lasted less than four months, but he won all six of his starts including the Kentucky Derby, Preakness and Belmont, the famed US Triple Crown. He won at distances between 1400 metres and 2400 metres. Monomoy Girl also won six of her seven starts this year including the American Oaks and the Kentucky Oaks before finishing out the season with a Breeders Cup Distaff triumph. 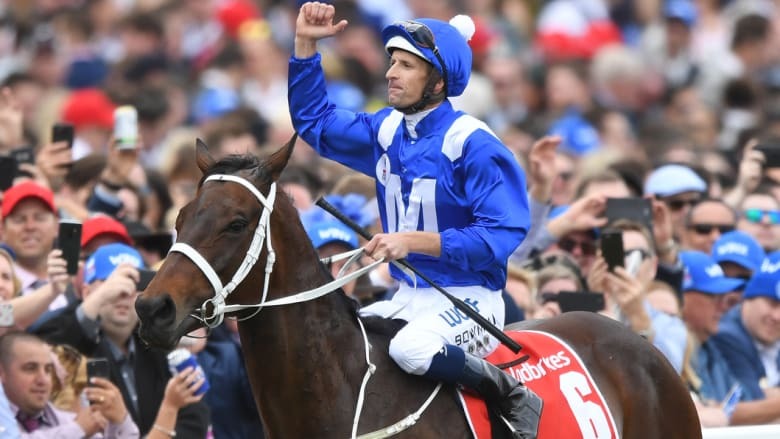 The fact that Winx was even the top choice amongst US voters speaks volumes for the Sydney-trained mare’s global popularity. “Racing certainly offered many historic and heartwarming stories in 2018,” said Kate Chenery Tweedy, daughter of the award founder. “And once again, the ‘Voice of the People’ spoke very clearly. The fact that both the American public and voters abroad were not limited by international borders is a wonderful testament to the growth of the award and the winner’s global appeal. The Vox Populi trophy will be presented to the Winx connections Jan. 12 at Santa Anita Park.